A person shall be put to death only on the testimony of two or more witnesses; no one shall be put to death on the testimony of a single witness. Taking its cue from Torah verses such as this, Jewish law places a powerfully high value on the importance of witnesses. For instance, not only is a minimum of two witnesses is necessary to convict, but both must have directly witnessed the crime. Heresay is inadmissible as is coerced witness testimony. Indeed, bearing witness is a profoundly sacred act in Jewish tradition, as the ninth commandment (not to meantion pages and pages of Talmudic debate) make clear. 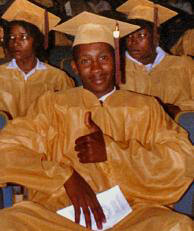 As a Jew, I am particularly mindful of these values in the case of Georgia death row inmate Troy Anthony Davis (above), who was sentenced to death for the murder of a Savannah policeman in 1991. Davis’ conviction was made solely on the basis of witness testimony – almost all of which has proven to be inconsistent and dubious. All but two of the witnesses in Davis’ case have since recanted, many alleging they were pressured or coerced by police. (There was no physical eveidence implicating Davis and the murder weapon was never found). Many of these witnesses in Davis’ case have stated in sworn affidavits that they were pressured or coerced by police into testifying or signing statements against him. (One of the two witnesses who has not recanted his testimony is the principle alternative suspect, according to the defense. There is new evidence implicating this individual as the gunman and nine individuals have since signed affidavits implicating him). At the very least, questions about the veracity of witness testimony would seem to warrant a new trial for Davis, but the Georgia Supreme Court denied this to Davis last March. This stunning decision means that the state of Georgia might soon execute a man who may well be innocent. (His execution date now stand at September 23). In the spirit of Torah’s exhoration this week, tzedek, tzedek tirdof (“Justice, justice shall you pursue”), I encourage you to learn more about the Troy Davis case. This Amnesty International update contains more information, as well as resources for advocacy on Davis’ behalf. 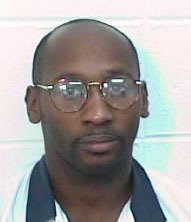 You can also learn more from Troy Davis’ website. This entry was posted in Capital Punishment, Human Rights, Judaism, Religion, Torah Commentary on September 5, 2008 by Rabbi Brant Rosen. We sent a letter to Georgia. Thanks for your input.